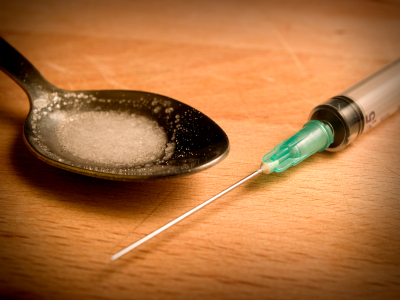 What is OxyContin? What does it look like? 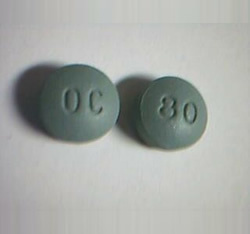 OxyContin pictures show that OxyContin most commonly looks like a pill or tablet. These round pills come in 10mg, 20mg, 40mg, 80mg and 160mg dosages. OxyContin also comes in capsule or liquid form. 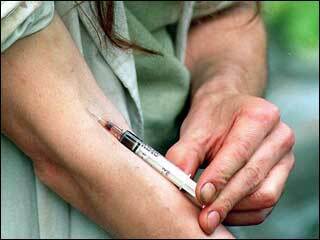 OxyContin is a controlled-release form of oxycodone prescribed to treat chronic pain. When used properly, OxyContin can provide pain relief for up to 12 hours, however, the drug has a very high risk of dependance and abuse. 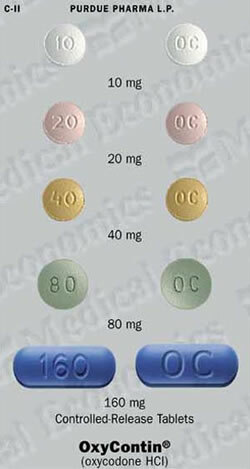 The following OxyContin pictures demonstrate that Oxycontin can be swallowed, or crushed and snorted or injected. 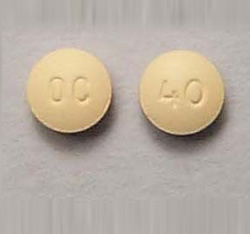 OxyContin Pictures show that abuse of Oxycontin is associated with serious consequences including addiction, overdose and death. 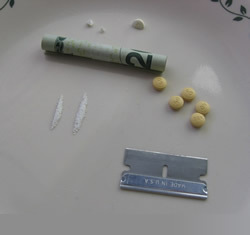 If you or a loved one is having problems with OxyContin abuse, look at the big picture and get help now.